Massage has proven benefits for people of all ages, and the power of touch cannot be overstated. Babies derive a number of physical and emotional benefits from touch, which is why baby massage has become an increasingly popular way for parents and babies to connect. Touch is one of the first ways babies communicate with others, and they can be very sensitive to touch. According to Tiffany Field, PhD, director of the Touch Research Institute, giving baby a massage stimulates the nervous system, which makes the brain release the feel-good chemical serotonin. The stress chemical cortisol is lowered at the same time. "As a result, your baby's heart rate and breathing slow down, and she becomes more relaxed," Field explains. Baby massage has been shown to decrease crying and increase the level of bonding between babies and their parents or caregivers. In today's hurried world, just taking the time to slowly and calmly massage baby can make both parent and child feel happier and calmer. Massage also helps decrease digestive problems that lead to colic and excessive gas, which can make a huge difference in baby's overall level of unhappiness. Babies who aren't in pain are better able to learn from their surroundings and connect with those around them. Another benefit of massage for baby is an improvement in muscle tone and coordination, which may help baby meet developmental milestones faster. Sleep patterns are also improved. Weight gain and neurological development are also improved, according to studies. Even hormone function is improved for babies who get regular infant massages. There are also many benefits for parents who give massage to their infants. The ability to read the baby's cues and know what they are feeling is greatly improved in parents who participate in infant massage. Parents who massage are also shown to be more confident in their parenting. Whereas some parents of infants often feel a lack of control over their parenting because of baby's unpredictability and sometimes lack of knowledge about how to parent well, parents who massage their infants report feeling more in control of their situation. Most parents don't need to wonder if infant massage could have any negative impacts, but parents of babies with chronic illnesses or medical conditions should always check with their pediatricians before doing any type of massage on their infants. The best time for an infant massage is a few minutes after baby has had a feeding. Waiting until baby is upset is not beneficial; baby should be relatively relaxed as the massage begins. Oil or lotion is not a necessary part of the massage, but using a natural oil, not commercial baby oil, during the massage can add to the healthy benefits and lessen any skin irritation that may occur from the rubbing motions. Biconi sells Baby Massage Oil for use in infant massages. The product is based on virgin coconut oil, which offers many healthy skin benefits. 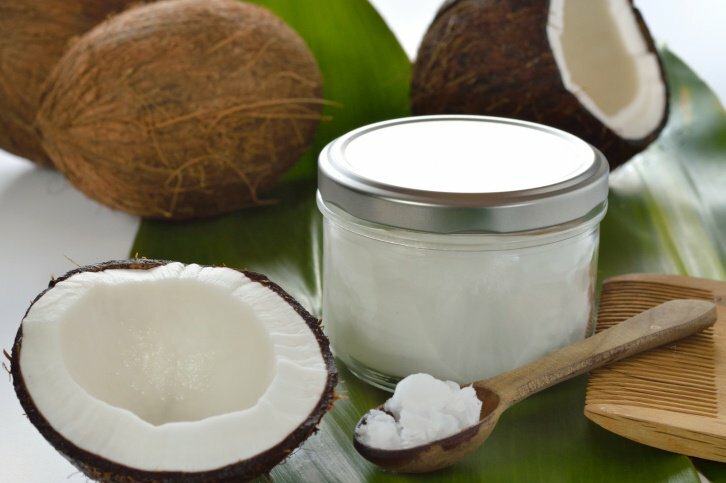 Virgin coconut oil helps keep skin soft and lessens redness from rashes and irritation. It is all natural and won't clog pores or cause skin problems as commercial oils can.